We finally have a game that lets you experience New York City, downtown Manhattan, like you've never experience it before. That's the beauty of video games nowadays. The ability to immerse the player into an environment that would not have been possible otherwise. This is a wonderful companion artbook to the game. 190 pages. Hardcover. Packed with art. 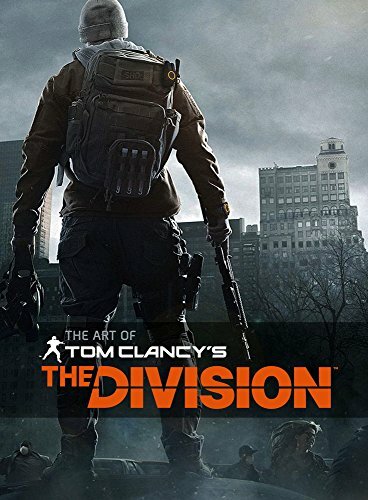 The content is split into three parts: factions, New York and Dark Zone. Essentially, that means half the book focuses on the character designs and the other half features the environments. The artworks are all quite detailed and look fantastic. They are mostly fully realized and polished concepts so don't expect to see sketches. Designs for the characters look nice. But after looking at so many video game artbooks, these civilian style agents and fighters are becoming difficult to tell them apart from other games. Having said that, the characters in this game are still very well designed. One thing I like about this book is they did not include pages of weapon designs so the pages are all devoted to just people and environments. I like the environment art. I like to see how Manhattan is reimagined by the artist in such a dire situation. Unfortunately, it's not like the whole of Manhattan. The areas featured in the map is somewhere in between below Central Park and the south of Manhattan. You won't get to see all the iconic buildings but you do get to see those that are in the map and some included are Madison Square Garden, Grand Central, Flatiron Building, the many skyscrapers, subways and other New York-style architecture. It's not just the exteriors, and just like the game, you get to see the interiors of these buildings in the way that's designed for the game. Overall, the artbook is packed with great art. There are also lots of commentary alongside the artworks. It's worth the money.